At today’s House Energy & Commerce Committee’s Communications & Technology Subcommittee hearing on protecting the Open Internet, Republican members announced they have introduced or will introduce several pieces of legislation aimed at prohibiting anti-competitive and harmful broadband-provider practices. Congressman Bob Latta (R-OH) announced he has introduced the Open Internet Act of 2019. Congressman Greg Walden (R-OR) announced he intends to introduce legislation modeled on the 2015 Thune/Upton draft net neutrality legislation, and that Congresswoman Cathy McMorris-Rodgers (R-WA) intends to introduce legislation modelled after Washington state’s 2018 net neutrality law. While we await the introduced language on some of these bills, the content and context shared to date signals that they will fall far short of ensuring the Federal Communications Commission has the necessary oversight authority over broadband providers to protect consumers, promote competition, and close the digital divide. “The strength of the FCC’s 2015 Open Internet Order was that it carefully established strong net neutrality rules without preventing the agency from protecting consumers on other non-net neutrality issues. Unfortunately, these bills seem to be crafted to do the opposite. 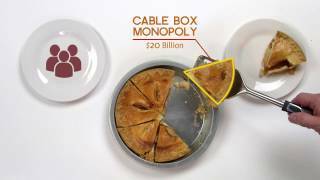 They seem to be crafted in order to limit the ability to refine net neutrality protections as business practices develop, and to limit the FCC’s authority to ensure other key consumer protections, such as privacy, universal service, truth in billing, disability access, can be updated for 21st century broadband networks. “We cannot accept trading one essential protection for another. 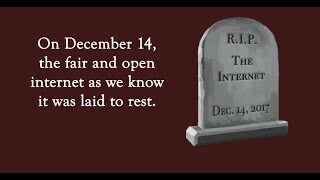 The Congress must act to fully protect net neutrality while preserving the power of the FCC as an expert agency to protect consumers, and the simplest way to do that is to reaffirm the classification of broadband as a ‘Title II’ telecommunications service. “Americans overwhelmingly support full net neutrality protections. The Open Internet Act of 2019 fails to meet that standard by attempting to edit out the ban against paid prioritization from the core of net neutrality protections. The paid prioritization ban is central to ensuring small businesses, creators, and innovators are able to compete in a free market online. This is more important in a world where all broadband providers are now merging with -- or producing their own -- content which they could prioritize over competitor content and services. Without it, consumers may see fewer choices and be forced to sellect websites and services that are prioritized, rather then the service that they truly prefer. “Public Knowledge testified about the weaknesses of the 2015 Thune/Upton Bill four years ago. Any bill that follows that framework will result in weakening basic consumer protections that are so essential, most Americans take them for granted until they are removed. This includes privacy protections that were repealed by the Congress two years ago, reliability standards that were rolled back by the Pai-led FCC over the last two years, and the promise of affordable access to broadband that has weakened the universal service program. Title II not only preserves strong net neutrality rules, but it empowers the FCC to continue to protect these and other basic consumer protections. Proposing to trade basic consumer protections away for weak net neutrality protections are not the place to begin legislation.